The Hilly Twin Skin Socklet is of double sock construction which absorbs friction. 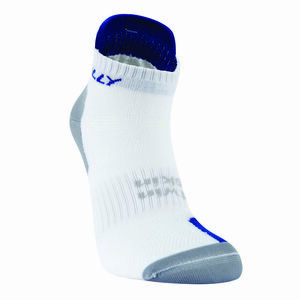 The Meryl SkinlifE inner sock wicks moisture to the outer cotton sock, keeping the skin dry. Fantastic moisture management capabilities and anti-blister properties.